The international jury for Wiki Loves Monuments 2014 announced today the 10 winning photographs from the world’s largest photo contest, which ran from September 1–30 this year. More than 9,000 photographers uploaded over 321,000 freely-licensed photographs of historic buildings, monuments and cultural heritage sites in 41 countries (39 teams) to Wikimedia Commons for use on Wikipedia and other free knowledge projects. 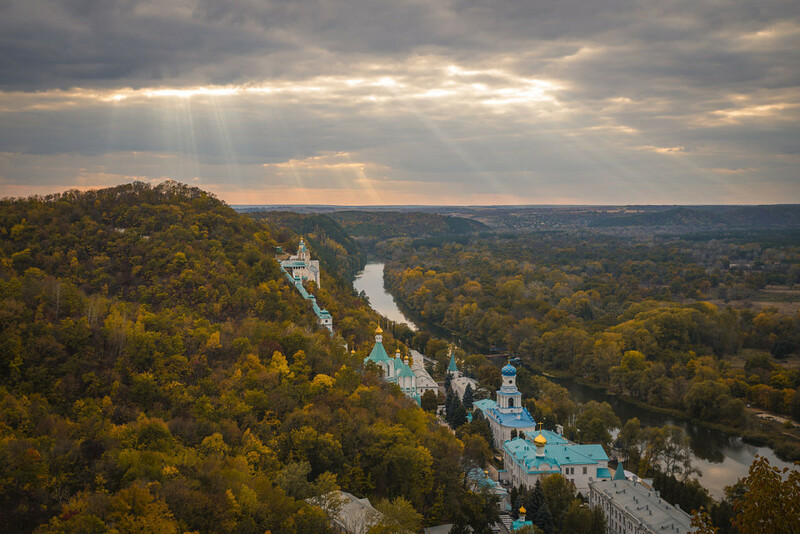 This year, the grand-prize winning photograph is an image of the Holy Mountains Monastery, a complex of architectural monuments of national significance in Sviatohirsk, Ukraine, taken by Konstantin Brizhnichenko. The first written mention of the monastery was in 1526. In 1624, the monastery was officially recognized as the Sviatohirsk Uspensky Monastery. Before World War I, the monastery was inhabited by approximately 600 monks. During the 1930s, it was destroyed by the Soviets, along with other numerous religious sites throughout the Soviet Union. Today, the monastery community consists of more than 100 people, a number that increases each year. The winner will receive flight and accommodations in Mexico to attend Wikimania, the international conference of the Wikimedia movement, to be held in July 2015 in Mexico City.